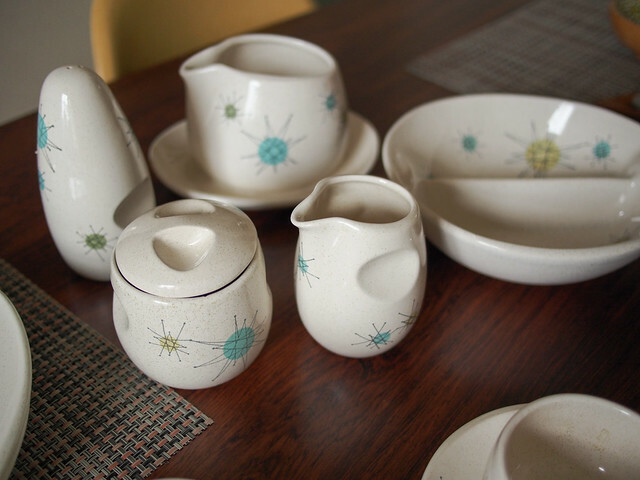 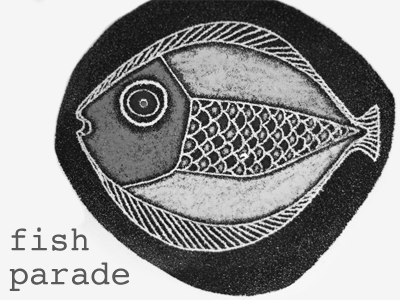 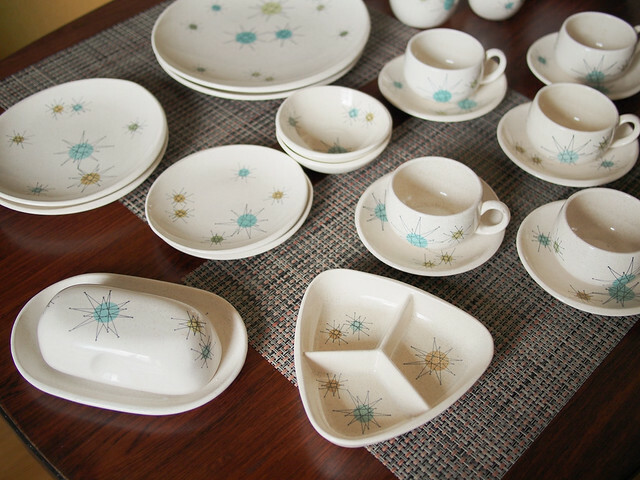 fish parade: Franciscan Starburst - the most mid century of china? 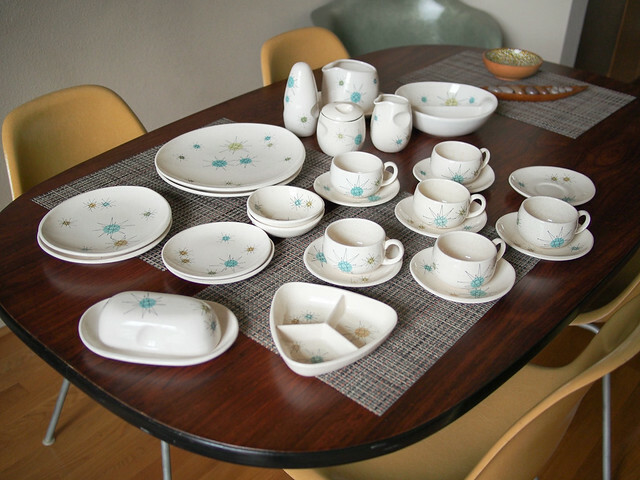 Franciscan Starburst - the most mid century of china? 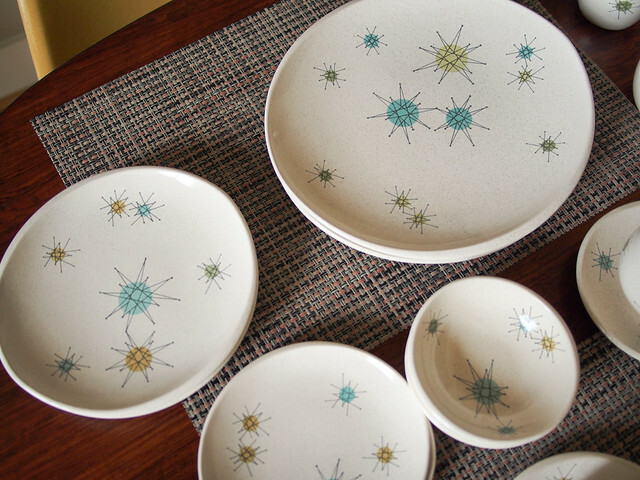 Dustin's parents got us a wonderful china set by Franciscan China named the "Starburst," and it is amazing. 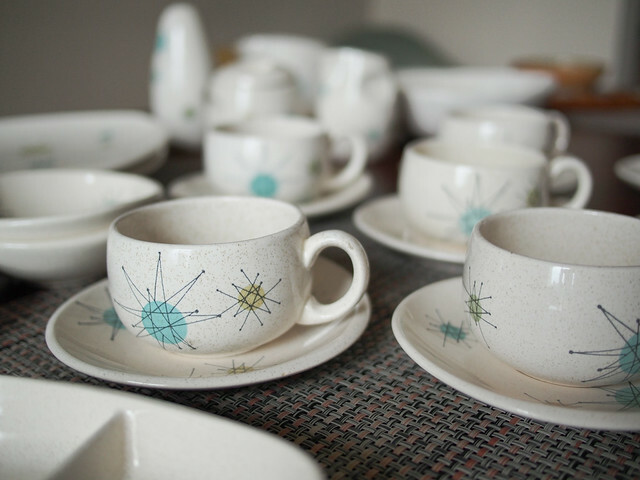 It doesn't get more atomic than this. 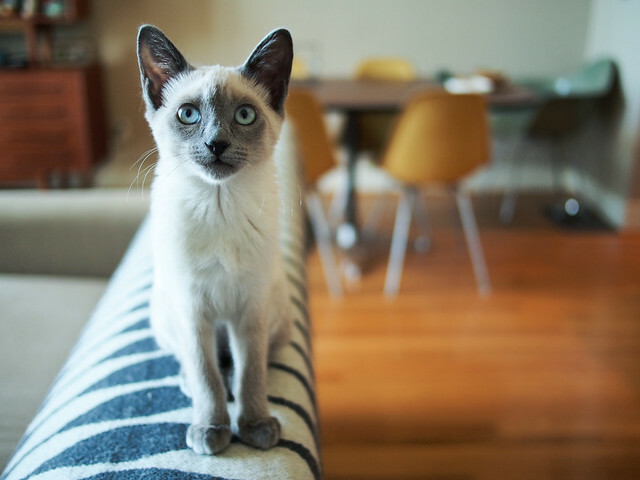 And some more Rowen for good measure.